If you’ve been visiting the Lake District for some years, you may remember the Windermere Steamboat Museum, which was situated on the eastern shore of Windermere, just outside the centre of Bowness-on-Windermere, on Rayrigg Road. I must have been really young when I last visited, but I do have a vague memory of wandering round some of the boats on display there. The museum finally closed in 2006 after being open for 29 years, and although I’d been aware that the arts organisation, Lakeland Arts Trust, were planning to bring new life to the site, I didn’t give it much thought until I spotted a Hard Hat Tour being offered as part of the annual September Heritage Open Days weekend*. Always looking to bring you something a little bit different on the blog, I signed up to find out more! Before I go on to describe the tour itself (kitted out with hard hat and hi-vis waistcoat…), I’ve done a bit of digging into the site’s history, both on the internet and using an old guidebook from the original museum, which was published in 1988 (it’s almost as old as me!). Between 1921 and 1975, the museum site was a sand wharf owned by the local Pattinson family, where barges unloaded gravel and sand that had been dredged from the bed of the lake. George Pattinson, a steam enthusiast who amassed an enormous collection of local boats and saved a number of vessels from being lost forever, opened the Windermere Steam Boat Museum in 1975. 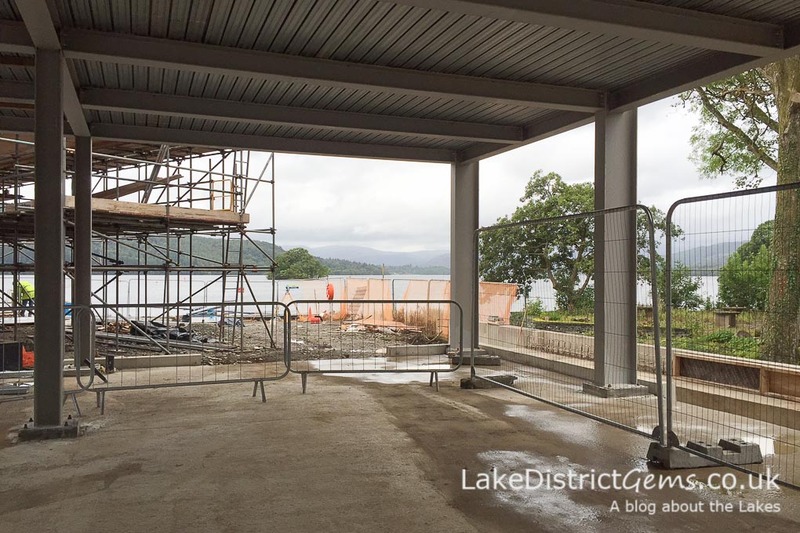 Some of the boats from George Pattinson’s collection are already being worked on by Lakeland Arts Trust staff at the Windermere Jetty site, where they are currently housed in a temporary building. A conservation assistant took us to see them (they are either undergoing full restoration to go out on the lake, or individual levels of restoration or preservation for display) and we got to see Osprey, a beautiful wooden steam launch which was built in Bowness in 1902. When the museum opens, it sounds as though visitors will be able to take a trip on Osprey in good weather. She has the most adorable copper kettle which heats water to boiling point in just a few seconds, and this once provided her passengers with a cup of tea as part of their Windermere cruise experience – I’ll bring the tea bags! We also saw Jane, a 1937 motorboat built in Florida who, according to the website can reach speeds of up to 35 mph – probably not necessary given the 10 mph speed limit on Windermere though! Moving outside, we met Mary Anne, one of the original ferry boats used to take passengers across the lake from Bowness before the steam powered chain ferry was introduced in 1870. She was rowed with sweeps (large oars) and had to be rescued from the lake near Belle Isle in the 1970s. On leaving behind the boat conservation, we took a tour round the construction site, where several large metal frameworks have been put in place. The buildings will include an exhibition space, wet dock, and a conservation workshop, where further boats will be brought out of storage and worked on in public view. Provided nothing too dangerous is taking place, visitors will be able to talk to staff about their latest projects and the restoration techniques they are using. There will also be staff offices and (most importantly, I’m sure you’ll agree!) a café with a view across the lake and towards Ambleside. While we were being shown around, I noticed Esperance sitting in the corner looking rather sorry for herself – she’s a lovely steam boat not dissimilar in style to the National Trust’s Steam Yacht Gondola on Coniston Water. Esperance was once owned by a local industrialist called Henry William Schneider, and is to be cleaned up ready for display on dry land. Schneider used to take Esperance from the Belsfield in Bowness (which is now the Laura Ashley Belsfield Hotel) on his morning journey to his iron works in Barrow, and I remember once being told that his butlers and staff would take his breakfast down the lawn to his boat for him – now that’s commuting in style! You can read more about the project and see historic images of boats from the collection on the Windermere Jetty website – I’m really looking forward to visiting the museum when it opens in 2017 (hopefully without the need for the hard hat, although after my recent visit to Force Crag Mine, hard hats are clearly becoming an essential part of my gem-hunting apparel! ), and will no doubt be sharing more about it with you then! 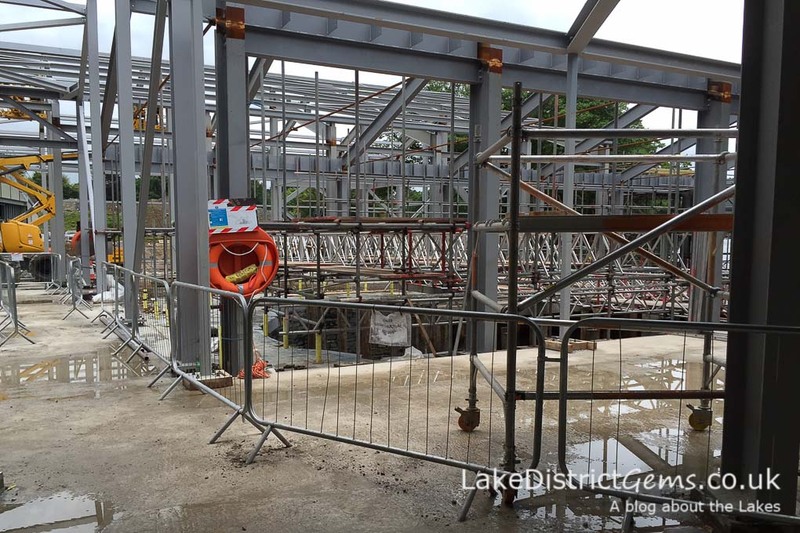 For an update on the Windermere Jetty project in July 2017, visit here. *Heritage Open Days is a national four-day event during which places and buildings of interest, often not accessible to the public, open their doors and welcome visitors to explore the nation’s hidden heritage. Do you have memories of visiting the original Windermere Steamboat Museum? If so, you can share them with other readers by leaving a comment below. I’ve got the taste for a cup of tea while I’ve been writing this post – I think it’s time to get the kettle on! I thought national parks were supposed to be” Britains breathing spaces” not construction sites. Why is this happening? Many thanks for your comment. Yes, there are strict planning rules in the Lake District, and the decision will have been taken by the Lake District National Park Authority. The museum will be replacing existing buildings (which, although I don’t remember what they looked like, were probably aging and in need of upgrading), so it isn’t being built on a previously undeveloped site. 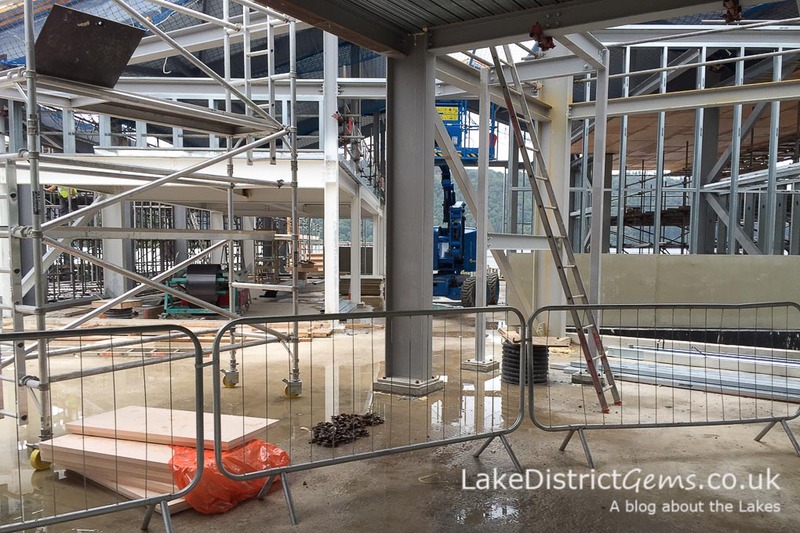 The construction of the museum is to house and promote the lake Districts heritage. Struggling to see why you would have a problem with that. Hello Gordon, How lovely to hear from you and that you’ve been reading the blog! 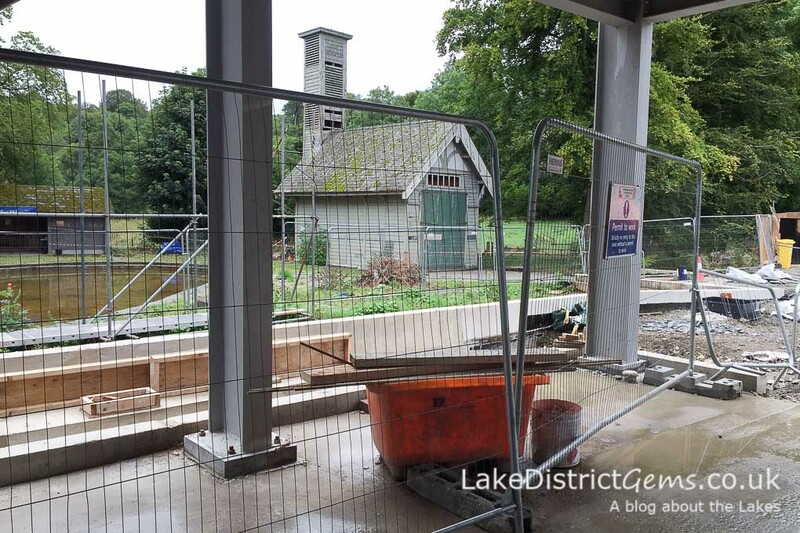 Yes, I’m really looking forward to the Windermere Jetty opening – I think it will be something very special for the area, and I quite fancy the job of making tea on the steam boats! Perhaps I should apply!! Sailed passed Windermere Jetty yesterday, still looks a long way off opening. Can’t find any updates, can you help please?! I’m looking forward to visiting when it’s finished though – what a project!